You point your toes and dip their tips into the chilly pool and then retract—your reflexes resisting the frigid bite of the cold plunge bath. The temperature is too much for you to take after you’ve just enjoyed an hour-long Swedish massage, so you opt for the caldarium instead. At 102 degrees, this hot bath is much more satisfying. As you lean your head back and rest it on the cool cement that surrounds the basin, you observe the growing indoor garden that dangles above your head and reminisce about the happenings of your weekend. You close your eyes and say in a soft voice, “This was one for the books.” Then you turn towards your bestie and laugh in unison. Hi-Lo HotelWhen you walk into the lobby of the Hi-Lo Hotel, it feels as though you’ve stepped into an eclectic garden, with swinging chaise lounges, green velvet sectional sofas and playful craftsman accents—all nestled between floor-to-ceiling cement pillars which add a modern twist to the ambiance. A new property in the Marriott Autograph Collection, the Hi-Lo hotel marries modern luxury with local hand-crafted highlights to create the perfect boutique experience in the heart of downtown Portland. 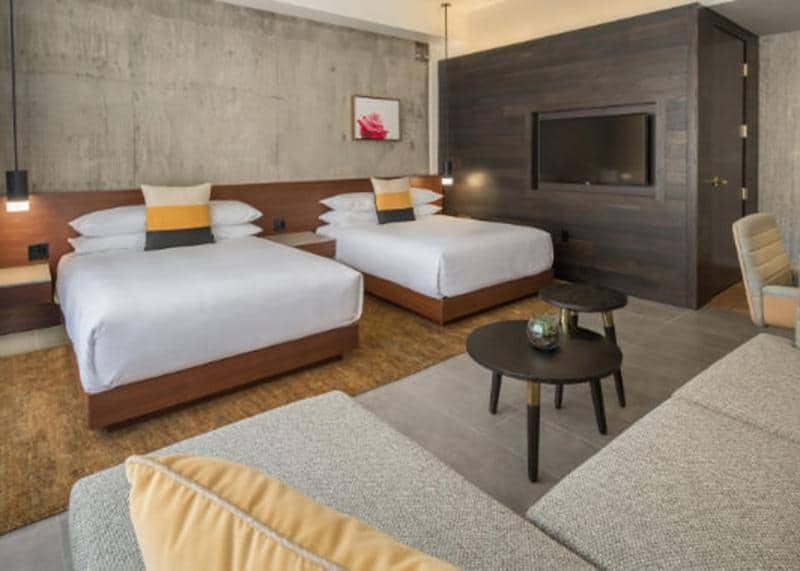 Occupying a historic space (built in 1910), this quaint 120-room accommodation is home to Alto Bajo—an on-site restaurant offering modern Mexican cuisine—and provides easy access to some of Portland’s best shops and sights. Bianca BujanPortland is home to over 70 microbreweries and brew pubs and is known as America’s cycling and craft-beer capital so it makes sense to pair pedals and pints in the picturesque city. 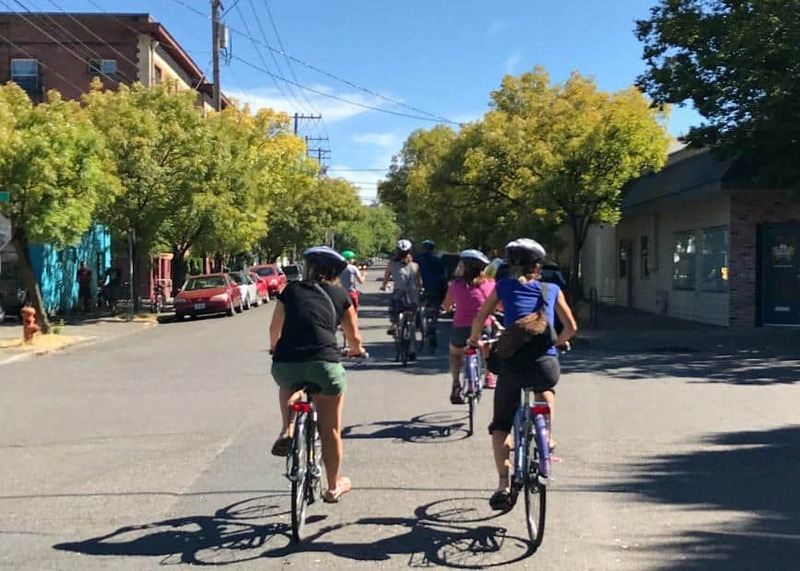 Pedal Bike Tours offers a range of daily scenic cycling adventures, including the Oregon Brewery Tour—a three-hour, five-mile ride past many of the area’s best-loved breweries. Stop and sip on sample flights from four different hot spots; get a behind-the-scenes tour of the magic of brewing; and learn how Portland became known as “Beervana.” This is a great way to enjoy a leisurely tour of downtown and savour the sights of the historic city, all the while guided by knowledgeable locals. 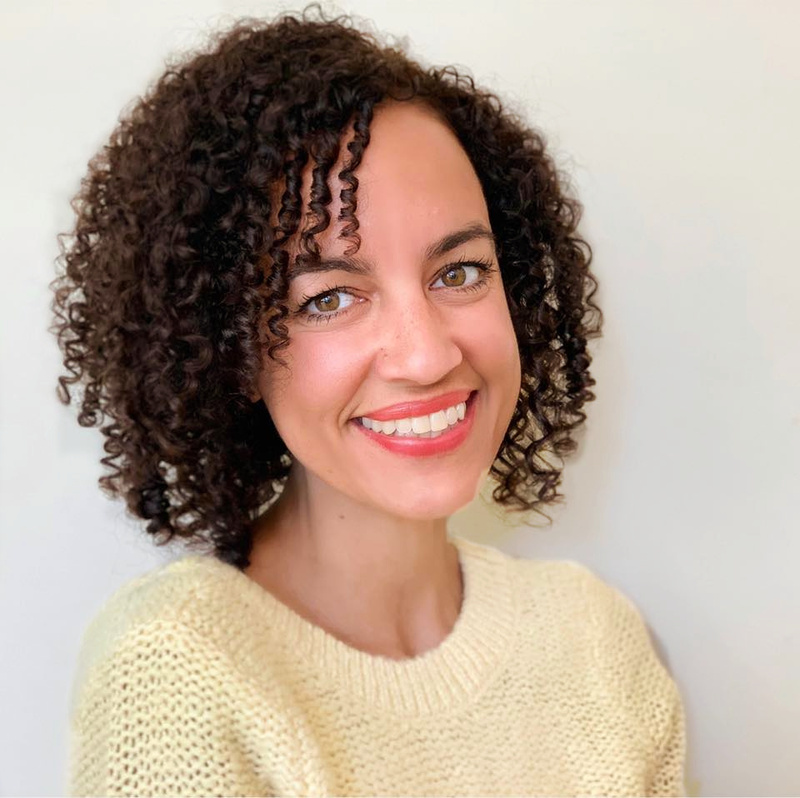 Bianca BujanDon’t let Tusk's exotic dishes—inspired by Israeli and Moroccan cuisine, or the modern white decor (sprinkled with light pink accents)—intimidate you. This popular eatery will have you falling in love with new flavours and lusting for more. Tusk takes an intimate approach: working with farmers to offer locally sourced whole grains, fruit and veggies. A playful selection of cocktails and desserts finishes off the share-worthy menu of selections. 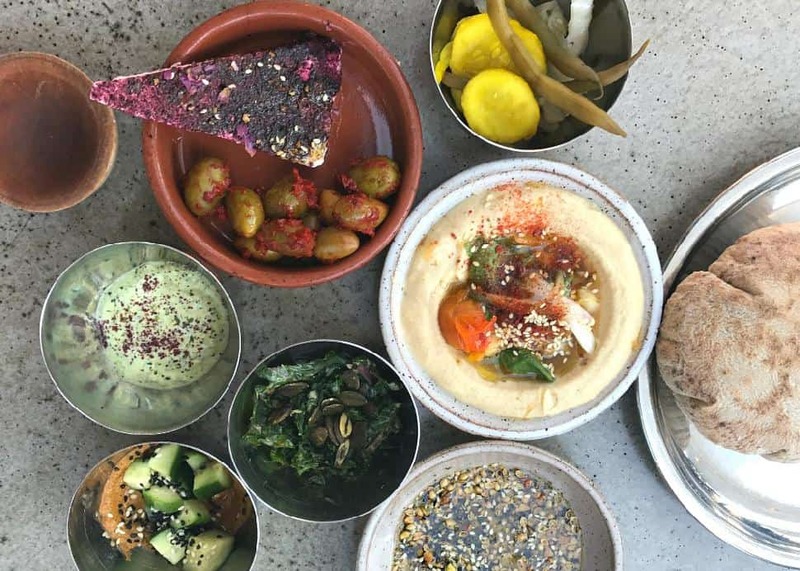 Go all in and order the Magic Carpet Ride—a cleverly-coined name for a chef’s selection of the restaurant’s best dishes, more than worth the price tag of $50 per person. This is a must-visit food spot, but be sure to book ahead! Knot Springs Spa & FitnessWrap up your weekend with a visit to the spa at Knot Springs where you can indulge in one of their signature massages—with clever names like Forget About It, Kick It, Knot It and Rock It to suit your mood. 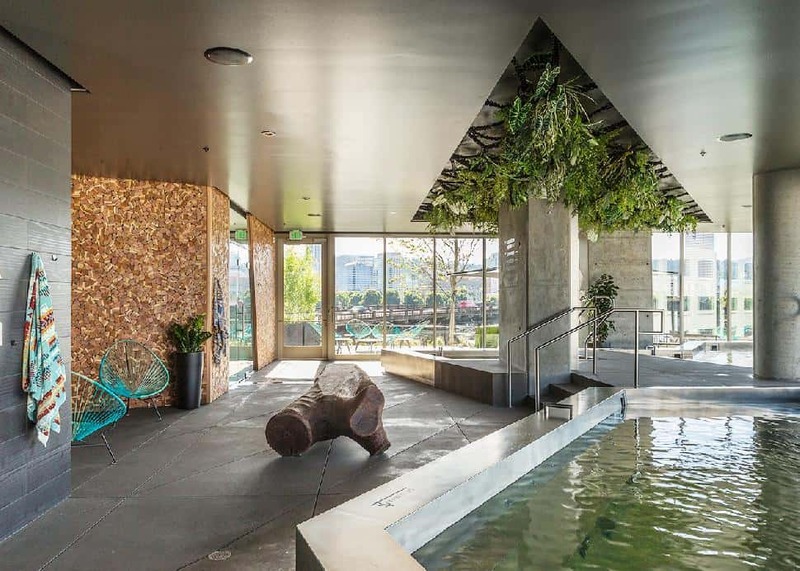 Be sure to save some time for a soak in their hot-springs-inspired indoor pools. Tiptoe between chilly and calescent waters while taking in the lush Pacific Northwest-meets-Ancient Europe setting that surrounds you. For around $100 each way, you can take the Amtrak Cascades, an eight-hour train ride from Vancouver to Portland along the coastal shores, where you can enjoy the scenery while sipping on wine and noshing on nibblies. The Hi-Lo Hotel is just a short walking distance from the train station and Uber is the perfect way to get around town during your stay.